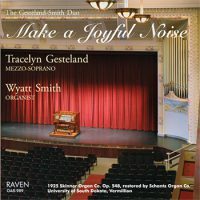 The Rose of Sharon (2014) was commissioned by mezzo-soprano Tracelyn Gesteland and organist Wyatt Smith. The text is the bulk of chapter 2 of Song of Songs: one of the most famous pieces of spiritual love poetry. The moods and setting follow the text expressively: from inward reflection to ecstatic outburst.